Orange colors signify exuberance and promote vitality. Send an arrangement of lovely orange flowers as a thinking-of-you gift to someone you care for today. Our arrangements are carefully designed with specially selected blooms to make your arrangement come to life. 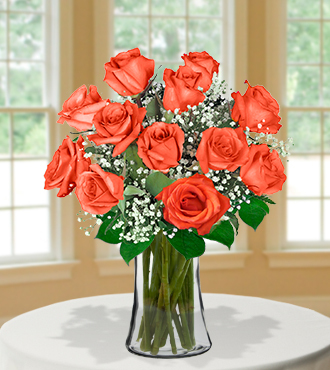 For any occasion you can think of, send bright orange blooms to bring cheer to someone's day. Choose a complementary colored vase to really add flair to your gift.